Tested has provided a very thorough review of Valve’s entry into the VR space – the Vine. The main takeaway I got from it all is that base-station approach seems to give a tracking ability to their controllers to the same degree as the head tracking you can get for the HMD. If true, if the steam controllers can track to the same accuracy as the headset, Valve has solved the biggest hurdle facing VR at the moment. A way of moving around infinite environments without inducing motion sickness. I feel like a controller could solve this, but no game I’ve tried yet has made the movement natural enough to eliminate motion sickness. e.g. Alien Isolation. Redirected Walking is a great idea I’m hanging my hat on, but it may not be practical if research indicates we need a minimum of a 23-metre-radius area. Haptic feedback. I expect for the first 5-10 years of VR a controller that let’s us interact with objects that behave like air will be acceptable, but it really does make it hard to naturally interact with an environment. Can you imagine trying something that requires even a low amount of dexterity (e.g. opening a drawer) when not only are you unable to feel the handle, but your hand passes straight through it. Better optics. I have taken to putting in contacts when I want to VR – glasses are uncomfortable. It’s enough of a pain to make me not bother some times. Self-focusing lens, manual focusing lens, automatic IPD measurements, a more glasses-friendly fit – I expect all of these things to make an appearance sooner or later, but at the moment they are outstanding issues. General simplification of the hardware and software. When I want to use the DK2, I have to put in contacts, grab the headset (maybe plug it in), fire up the OR software, change my monitor configurations (issues with Extended Mode), somehow fire up and navigate demos and games that are often half-in and half-out of VR (e.g. Windows is out of VR, but in the game the menus are in VR… but require the keyboard to navigate which I can’t see.) A lot of these problems will be solved when more software utilises the Rift’s Direct Mode, but due to limitations within Windows this hasn’t been widely adopted yet. 180 degree field of view. At the moment the FOV of the DK2 is pretty good (and the Vine appears to be slightly worse in that regard), but it would really help presence and immersion if the engineers can get that FOV to encompass all of our peripheral vision. It doesn’t really feel like you’re looking down a tube, but you do find you can’t do some of the things you would in the real world – like catching things out of the corner of your eye. You have to move your head a bit more left-and-right than you would realistically to keep your situational awareness high. I feel like I’m a quarterback scanning the field … all the time. The haptic feedback might be a tough nut to crack (but it is also something I think we can live without for the foreseeable future) and the rest I fully expect to be quickly solved in the next 12-24 months. The VR news has been a bit quiet of late … this has me excited once again. So the VR community has been a-buzz lately. There’s Google’s project Tango, as well as their project cardboard, some of my favourite games are coming with VR: iRacing and DCS World. Oh. Did I mention? I was on the first wave of orders. I have a DK2 coming, so this news is VERY relevant. (In a minor battle with a rebelling duke, Morgan took a blow to the head and went into a coma. He died a few years later, and the succession did not go smoothly: His son did not have enough land to raise many personal levies, the English throne did not pass to him at all, and the rest of his dukes rose up in rebellions. There was no doubt he was going to be relegated to being a minor duke while someone else sat on the imperial throne (and several someone elses sat on the thrones of the various Kingdoms I’d united.) Ah. C’est la vie. I have been trying out Company of Heroes 2. I only picked it up the other day on special. It’s got some nice features, but it is very similar to the original – so I expect this flirtation to be fairly short-lived. I got the same feeling when I played Batman: Arkham Origins. It was a good game – practically identical to the previous game… and I loved that game so it should have been all good. I loved it, but it didn’t have the staying power, because I’d done it all before. Anyway. I’m a ways into this post and haven’t mentioned anything about the headline yet. 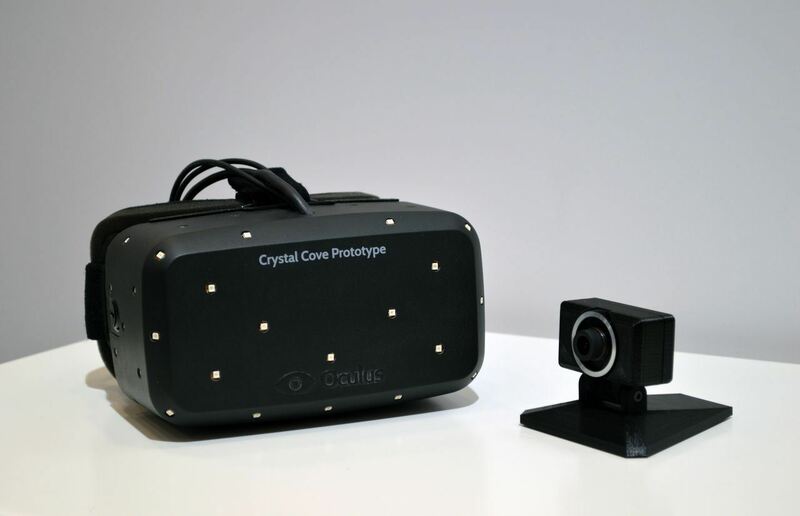 The OR has a 1080p version floating around, and, separately, a version that has positional tracking – dubbed Crystal Cove. So let’s tally a score, shall we? You’re a dragon. In VR. And you fly and burn things. There has been some pretty damn awesome OR projects floating around – they seem to just get cooler and cooler (https://www.youtube.com/watch?feature=player_embedded&v=iSoj9EU7pWs) and AAA studios are supporting it, long before the consumer version drops (http://www.eurogamer.net/articles/2013-08-21-oculus-rift-based-dogfighting-spin-off-eve-valkyrie-announced) and there has been plenty of flying OR games – but comeon – as a dragon? That’s pretty cool. It looks relaxing, in a burninating the peasants sort of a way. Thought About Being a VR Dragon? So I don’t have time for a nice, well-thought out post. So. Seriously, though, this is the minimum the consumer OR will offer. That’s awesome. Here’s a swack of demos the Oculus Rift works with right now. The internet is all a-buzz, all a-tweeter even, over the Oculus Rift(OR) and for good reason, I think. other than a few niggles, such as low resolution, which the developers promise will be ironed out there’s not much to complain about. Is the OR the future of gaming? Or even the future of virtual reality — I’m talking virtual offices now (a Google+ post)? Firstly let’s shoot down the “definitely nots.” No virtual offices. It’s just too different from what we currently do, there’s not enough gains, it will pull people too far out of their comfort zones and it will initially carry a stigma of being “for gaming.” People will also rebel at having to wear the device. For a work day? Not going to happen. People will even rebel because of how they look. Something with augmented reality might catch on – like Google Glass – because glasses have been, can be, and are, fashionable. Google has a ways to go on that front, and the tech, while promising, still has a ways to go to be actually useful. Will the OR usher in a new revolution in gaming? Well, it depends on what you mean by revolution. The OR won’t be for all games, or all gamers. There’s just nothing to gain for RTSs, strategy games, MOBAs, or even traditional FPSs. In the case of an FPS, it’ll actually be a detriment. You may find that odd, since a FPS might initially seem like the logical place to use an OR (and indeed the first games to support it are FPSs) but FPSs, in their current state, are strictly designed with a keyboard, mouse, (with controller shoe-horned in) and a monitor in mind. There are many conventions in place to make up for the shortcomings of a monitor to the point where… a FPS is really a very terrible way of simulating anything. It’s just a trope that is popular nowadays, just as a RTS is a terrible way of simulating war strategy. What will happen, though, is a new raft of VR games will be created. You will need the periphal to play, or the experience will be pretty sub-par without. Something akin to the early days of mouse-driven games. It’s always possible to play with the keyboard, but really it was designed with the mouse in mind. I expect in the early days many games will be converted current-gen games. Games like Skyrim, Mirrors Edge, and TF2 overhauled. There will also be a number of games that can really benefit from VR as-is and just need to be made compatible with the OR: DCS and related modules, Hawken, Star Citizen, Cliffs of Dover, MechWarrior Online, iRacing – basically anything where you sit in a cockpit and ride. Off the basis of this initial success will be the VR games. Games strictly from the first person, and will run the gamut of RPG, shooter, stealth, and let’s say “other” to cover bases that I might not have foreseen. One side-effect of these new VR games will be the desire for a new form of input. This could be solved in many ways, but the old WSAD mouse and keyboard (or controller if you’re that way inclined) just won’t cut it. Not only will it be disorienting, uncomfortable, and a little unintuitive, but it’ll also put you at a distinct disadvantage. Those players who forego VR in favour of a traditional set up will simply be out-gunned, unless you turn the OR into a simple wearable monitor… which means you’ll quickly revert to your monitor for convenience’s sake. By cannibalising mobile phone / tablet components the OR is able to solve a myriad of other problems of prior VR attempts – latency, field of view, etc. This is why anyone that has tried it are converts. But I have to tell you the smartest thing they have done. That’s raise the money with kickstarter – but for the development kit. This is essentially a prototype so devs can see how it works, pull it apart, and build things for it. It doesn’t really matter that the resolution is only 2/3rds the eventual consumer version, or that it only tracks rotation rather than lateral movement. You can make allowances for that when building your game. It means that when the OR officially drops, there’ll be a ton of good content out of the gate. And I know that devs will jump into this feet first, because of the hype. It doesn’t take much Googling to see that the hype is there. That means we can guarantee that the first few hundred-thousand units will fly off the shelves, but what could really kill the OR from that point, is if it’s a gimmick without much to do. To be honest I think the Leap Motion could suffer from this, and Google Glass almost certainly will. The OR, however, I think will have real content – AAA in the form of Hawken, Star Citizen, and TF2 – and indie (and who knows what form that will take) that will keep users begging for more. With the successful launch, you better believe more content will come. And fast. With more content will come more devices and with more devices will come competition, innovation, and hopefully standardisation. I’m sure many games will shoe-horn the OR in when it’s not really needed… but I fully expect some very exciting, immersive, and quality content as well.